The clematis are having their second bloom before retiring for the winter. 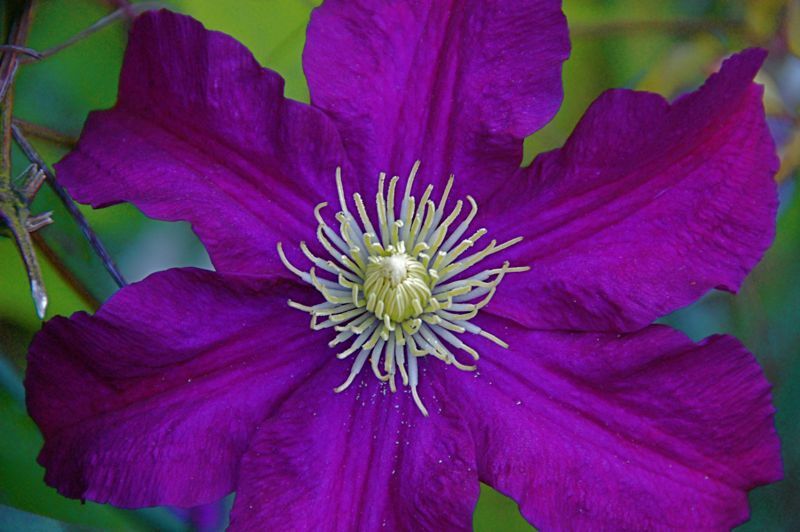 This clematis image is from this past spring when they had their first spectacular blooming time. The autumn showing is much more modest, but appreciated nonetheless.